H. S. M. Coxeter, M. Emmer, Roger Penrose, M. I. Teuber. 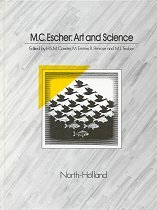 M. C. Escher: Art and Science. The Road to Reality: a complete guide to the laws of the universe.